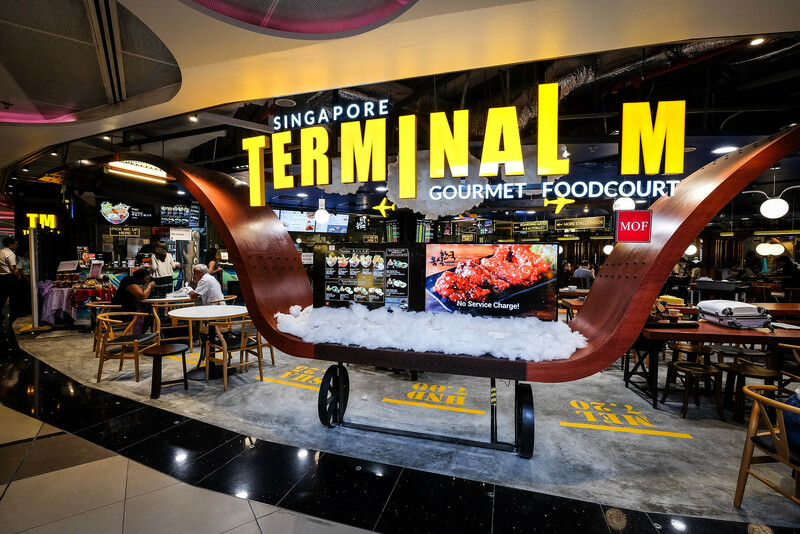 Terminal M – Singapore’s Newest Terminal (For Food, Of Course)! 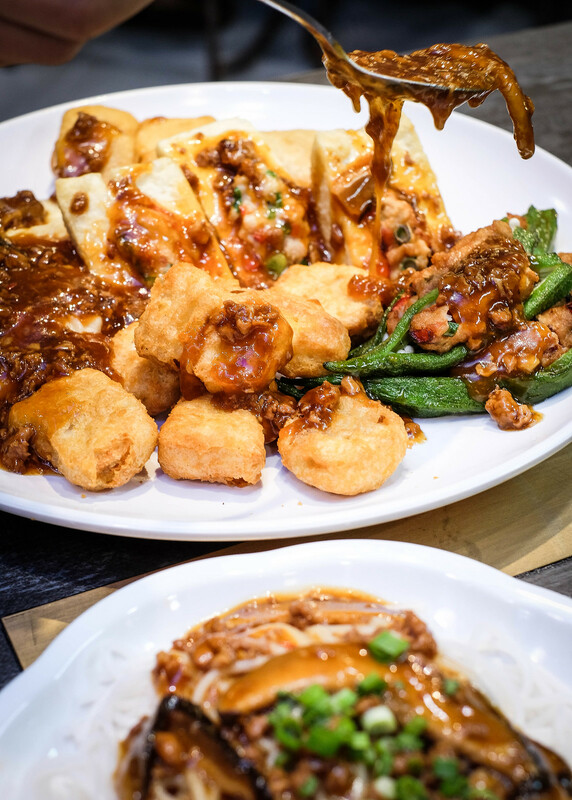 You are here: Home » Blog » Terminal M – Singapore’s Newest Terminal (For Food, Of Course)! 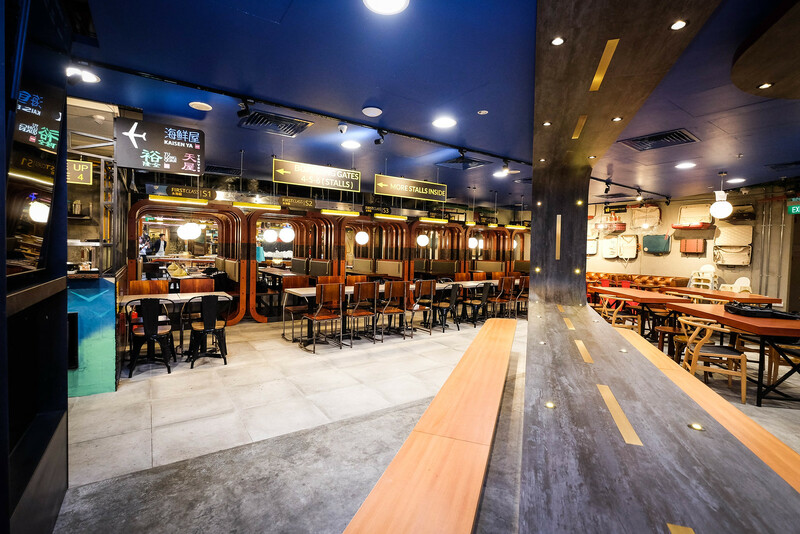 Terminal M is the newest concept by casual dining empire, Ministry of Food (MoF). 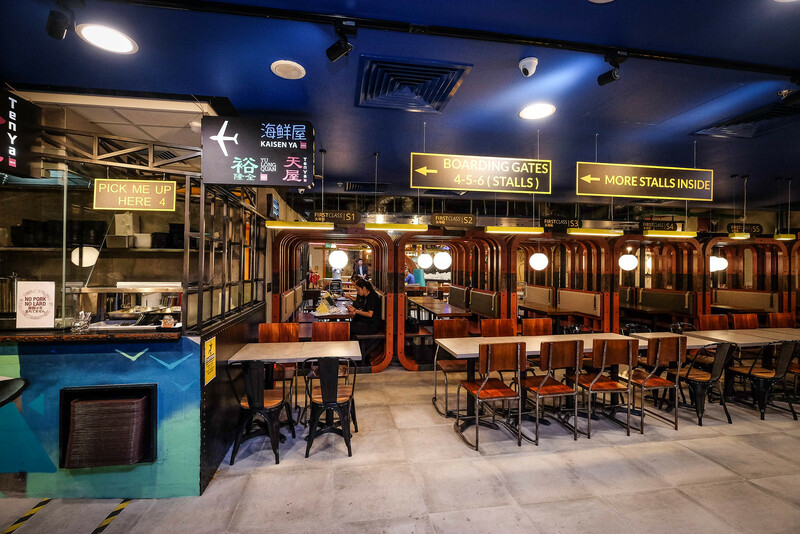 The new aviation-themed gourmet food court opened its doors at Changi Airport Terminal 3, and features popular brands such as Yu Long Quan (Chinese), Hanssik (Korean), Café Papa (Korean), Ten-ya (Japanese) and Kaisen-ya (Japanese) all under one roof! The place portrays a certain fun escapade vibe, with propellers hanging above the entrance and cute vintage luggage decorating the walls. The lush sofa under the luggage installation makes for quite the Instagram backdrop. There are also 6 cosy First-Class cabins available along one side of the establishment. The whole place is free-seating so you don’t have to pay an exorbitant price for a First-Class experience. Along with the comfortable booth seats, there are also power sockets and phone charging ports which diners can utilize. 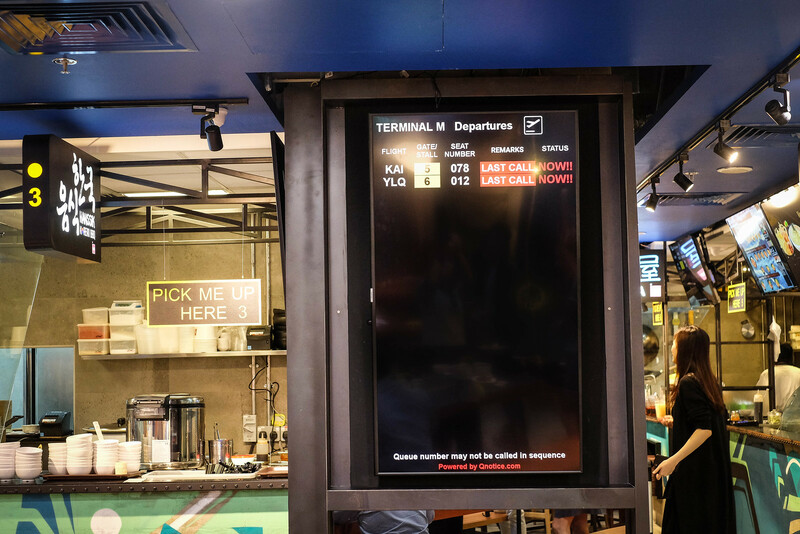 At Terminal M, you order your food via the kiosks at the entrance. There, you can choose from any of the brands residing in Terminal M. With your order, you’ll get your ‘boarding pass’ indicating your ‘Flight, Gate and Seat Number’. Your flight number would refer to the stall name, abbreviated to 3 letters. If you can’t recognize the stall name, just use the gate number to help you identify which stall to collect your food from. 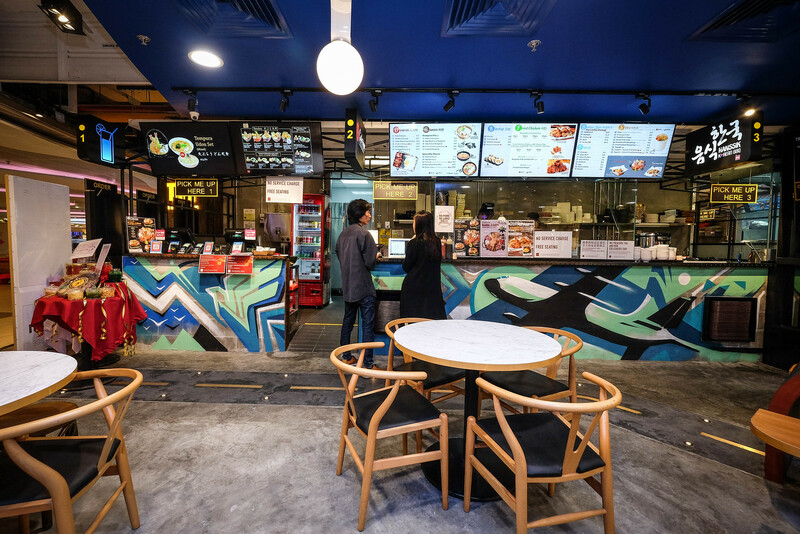 Seat number would refer to your queue number, all of which are displayed on a prominent signboard in the middle of the food court. The whimsicality of everything really made me want to go on holiday! Oh, and don’t worry, your food will not ‘depart’ without you. 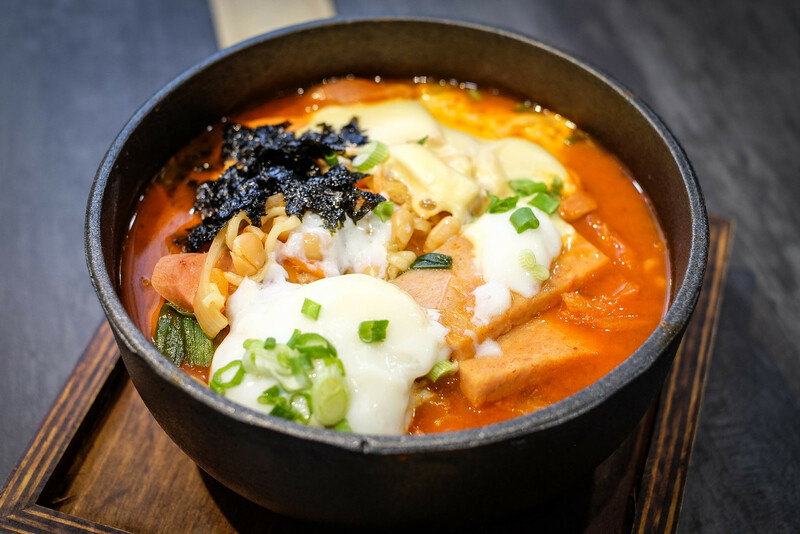 We first tried the Budaejigae Speciality Myeon ($10.90) from Cafe Papa. 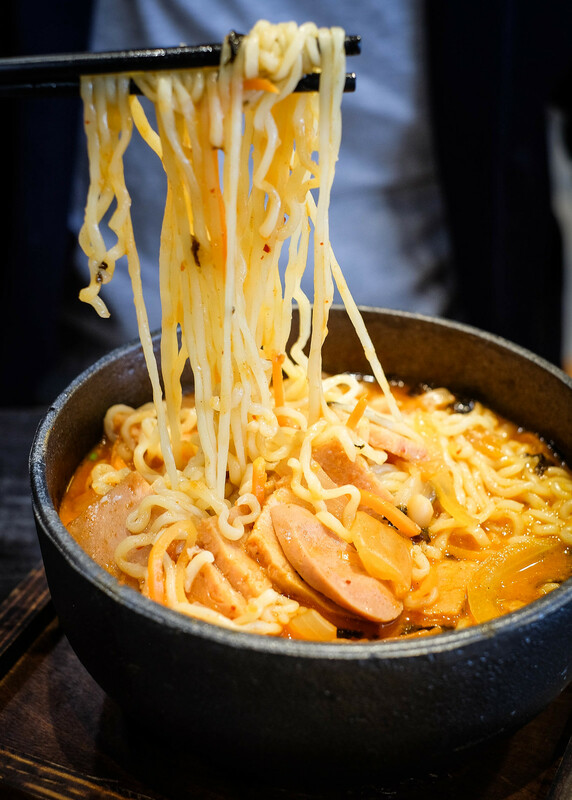 The dish came with a good variety of ingredients including noodles, carrots, onions cabbage, luncheon meat, chicken franks, shreds of seaweed, melted cheese and an onsen egg, all contained within a rather heavy cast iron bowl. 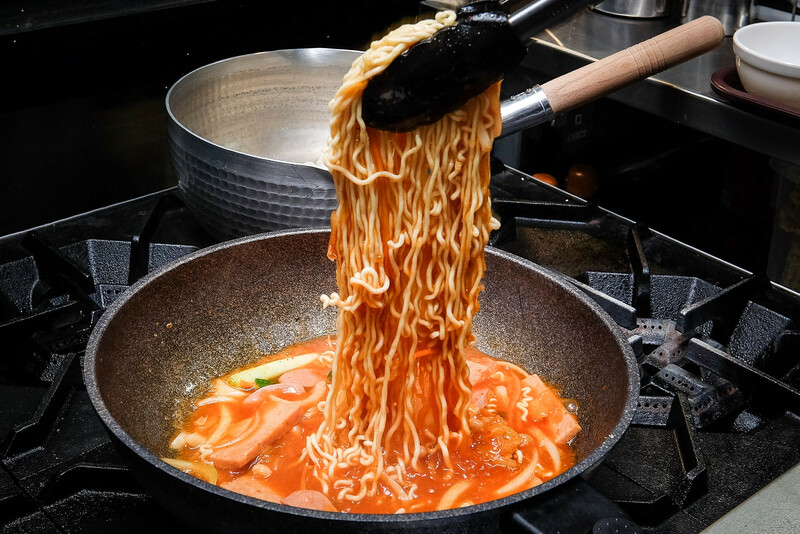 Although having the melted cheese with the noodles was very tempting, we decided better and mixed the cheese into the broth, creating a very satisfying and hearty soup! Finding Singapore-style Yong Tau Foo ($9/18/36/52.80) at Terminal M’s Yu Long Quan was a pleasant surprise. 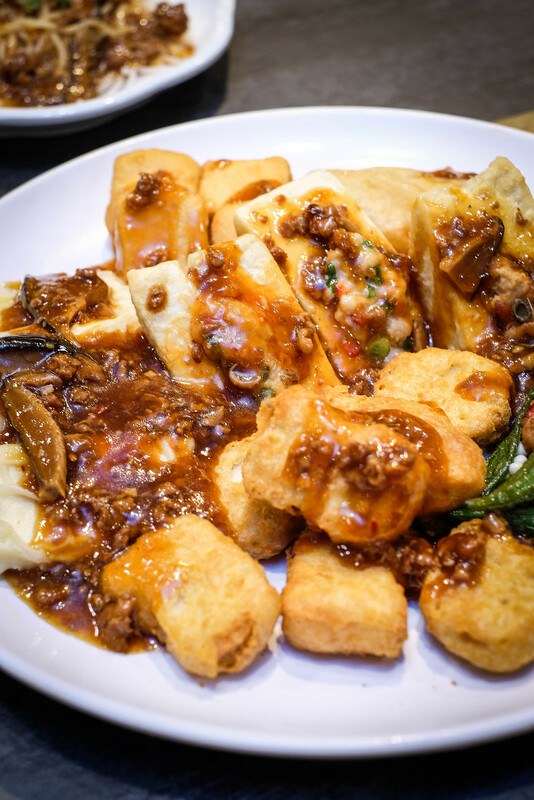 As someone who is always on the lookout for the best yong tau foos in Singapore, I was delighted to find a great Yong Tau Foo here. All of the ingredients were fresh and springy. The braised sauce which comprised mushroom and minced chicken was particularly enjoyable as well. 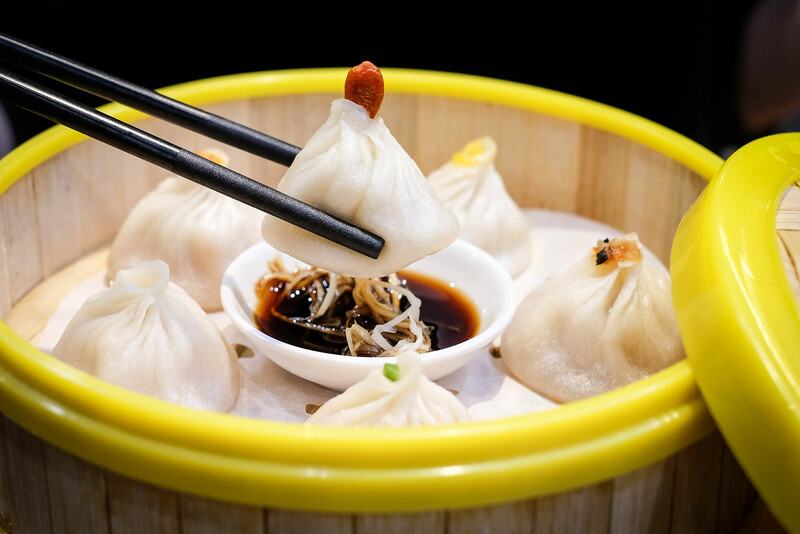 We definitely had to order Terminal M’s very own 6 in 1 Chicken Dumpling ($13 for 6 pieces). 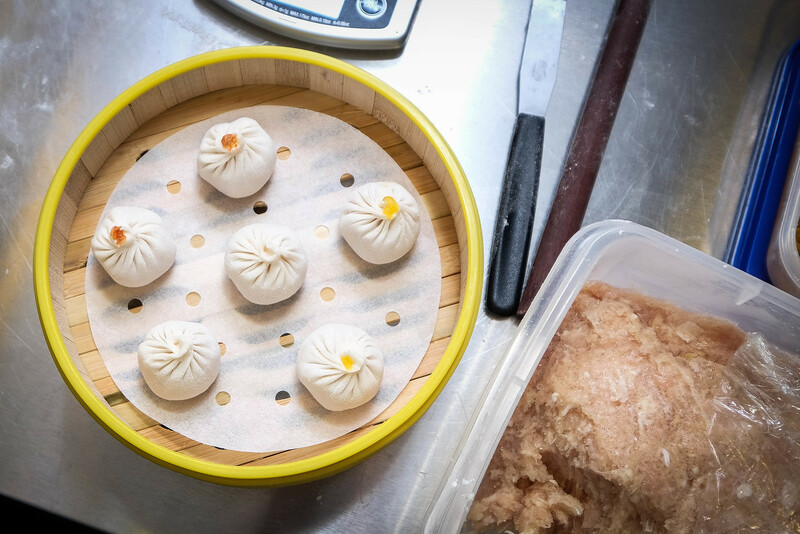 All of the dumplings are made on the spot so you can go look at your dumplings being made after you’ve placed your order. 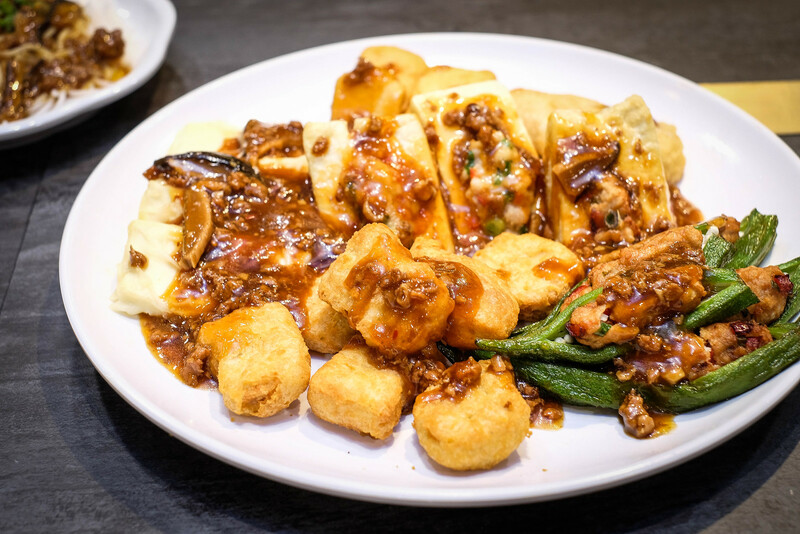 The dish features 5 uniquely Singaporean flavours — black pepper crab, chilli crab, laksa, bak kut teh, salted egg yolk, and of course the original chicken flavour. 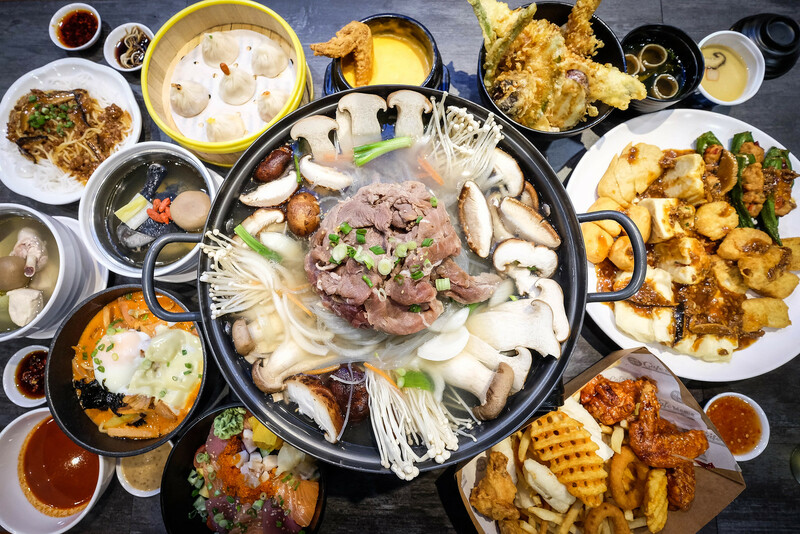 I liked how it captured the most iconic flavour profiles in Singaporean cuisine in one basket. I can imagine the tourists going loco over these local flavours! 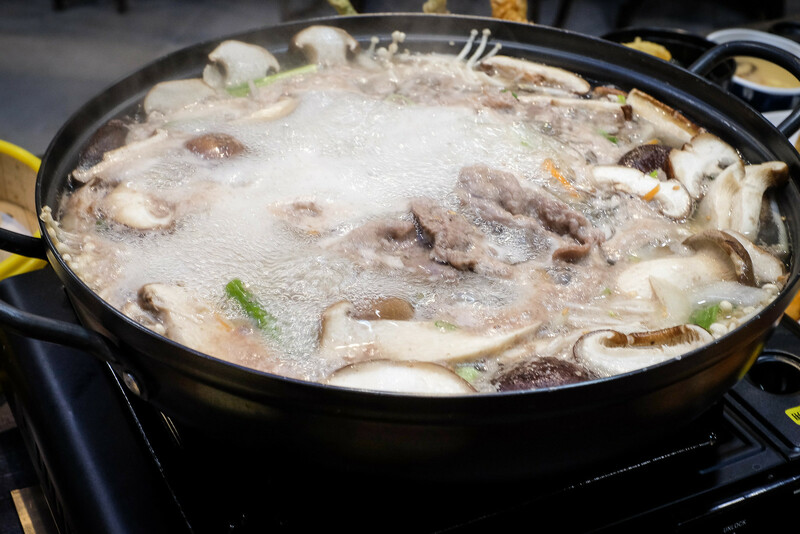 Having grown up with all of these dishes, I would have to say that the most well-interpreted flavour has to be the bak kut teh. The bak kut teh broth sitting in the dumpling was so good! 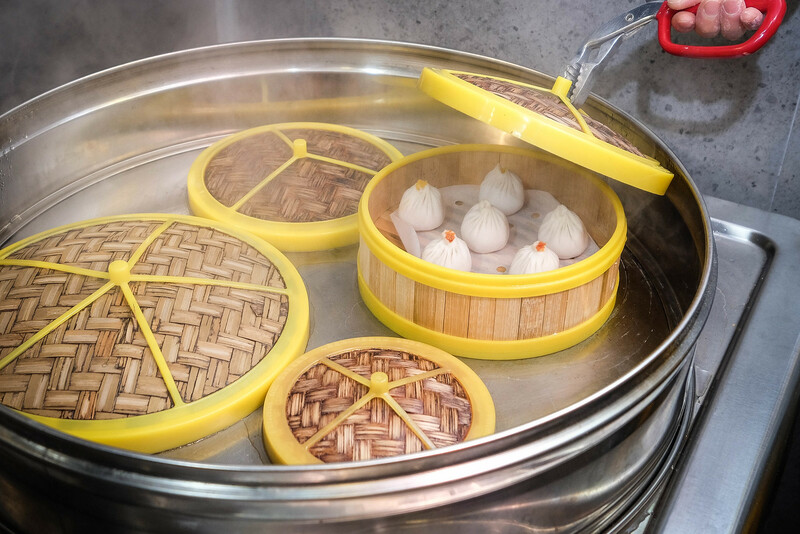 I think I prefer this to the usual xiao long baos! 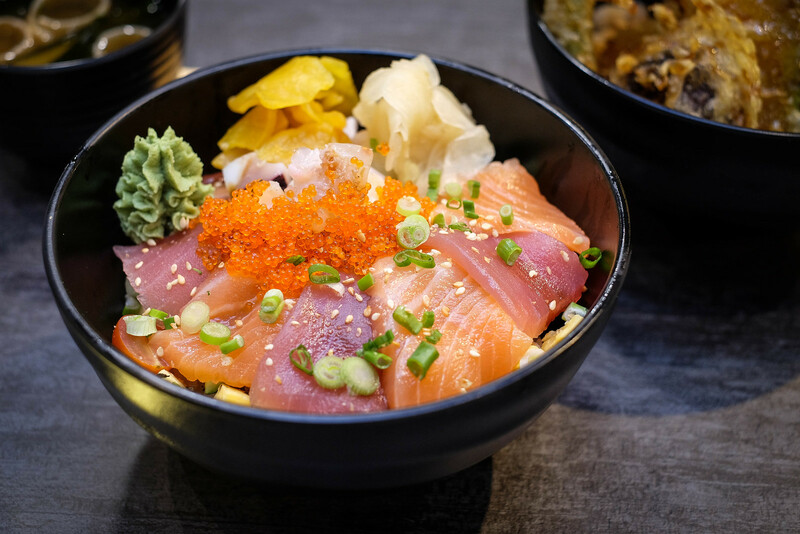 We were also in the mood for some Japanese food, so we ordered the Signature Kaisen-don ($16.3) from Kaisen-Ya and Mixed Tendon ($11.8) from Ten-ya. 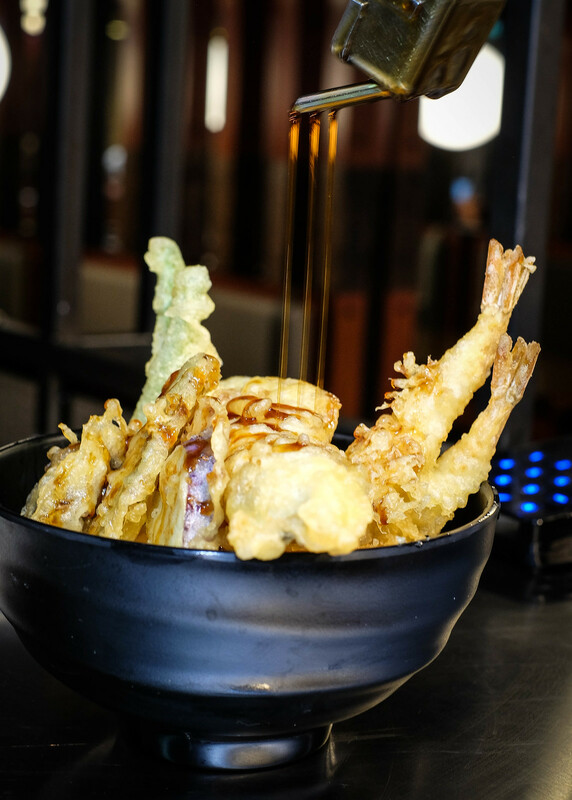 Good Japanese food is about fresh ingredients, perfect amount of light seasoning, and meticulous handling. 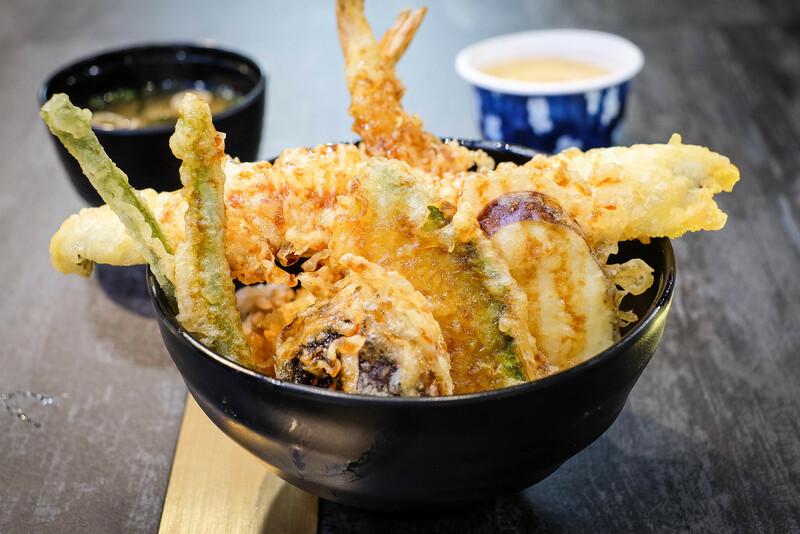 We have to say that Kaisen-Ya and Ten-ya have nailed their respective signature creations! 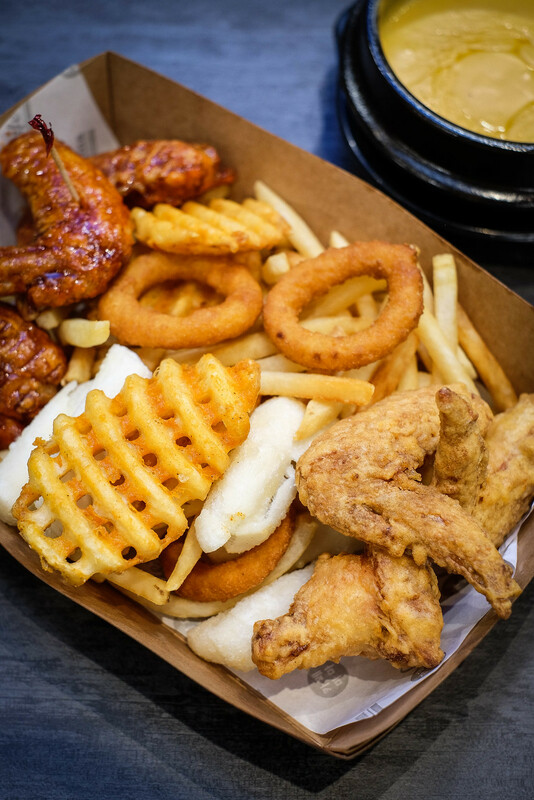 How can we miss out on the 6pcs Fried Chicken Platter with Cheese Dip ($16.9) from Korean stall 2? 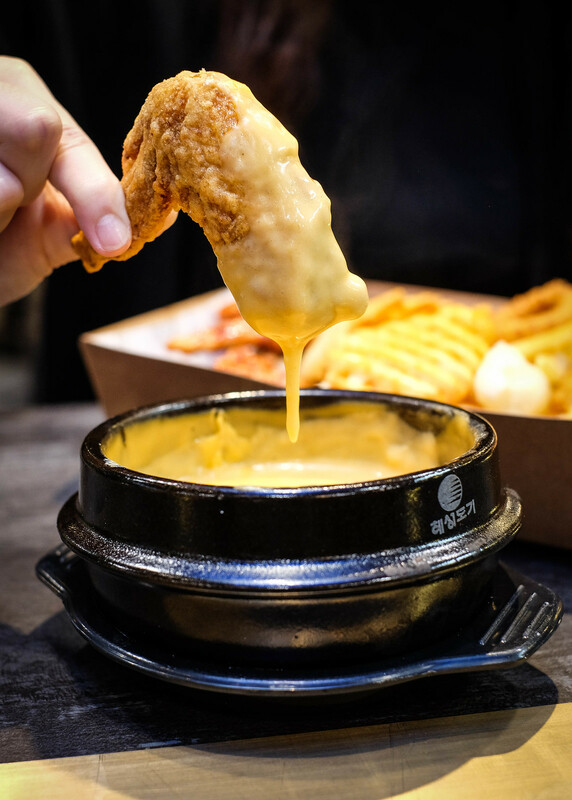 The set is complete with fried topokki, fries, crisscut fries, onion rings and of course a pot of melted cheese. I mean, hot juicy chicken wings with warm gooey cheese. Don’t tell me you’re not tempted. 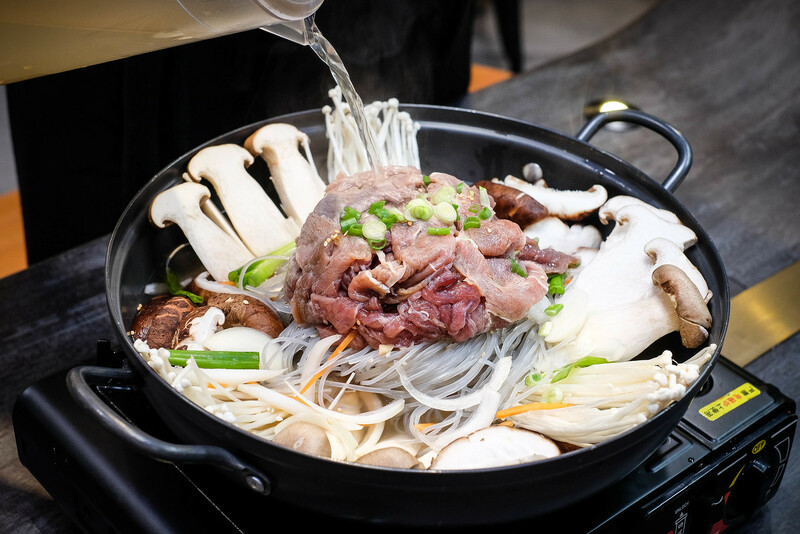 Finally, we got a Beef Budaejigae ($37.9, for 3-4 pax sharing). 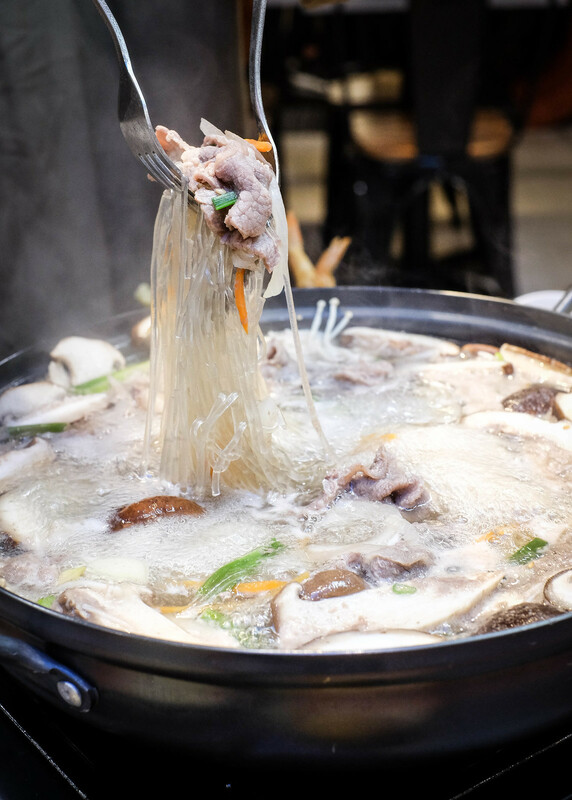 The hot pot came with enoki, cabbage, vegetables, and either a budaejigae broth or a clear broth. 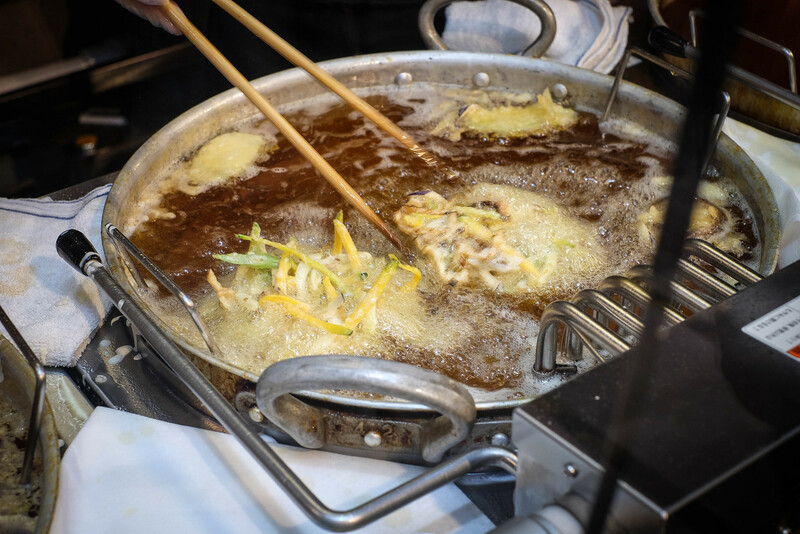 We went with the clear broth which was sweet, light, and perfectly comforting. I appreciate the practicality of Terminal’s M casual dining concept. 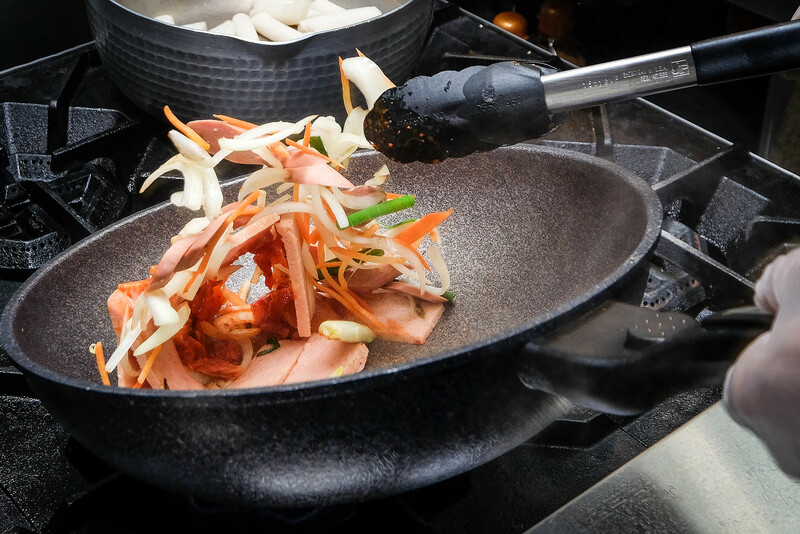 The kiosk and availability of set lunches allow the working crowd to have a fast and fuss-free lunch. I’m sure anyone will be spoilt silly by great variety. Diners who have an upcoming flight can chill and recharge their electronics in the First-Class cabin, all in the company of good food. 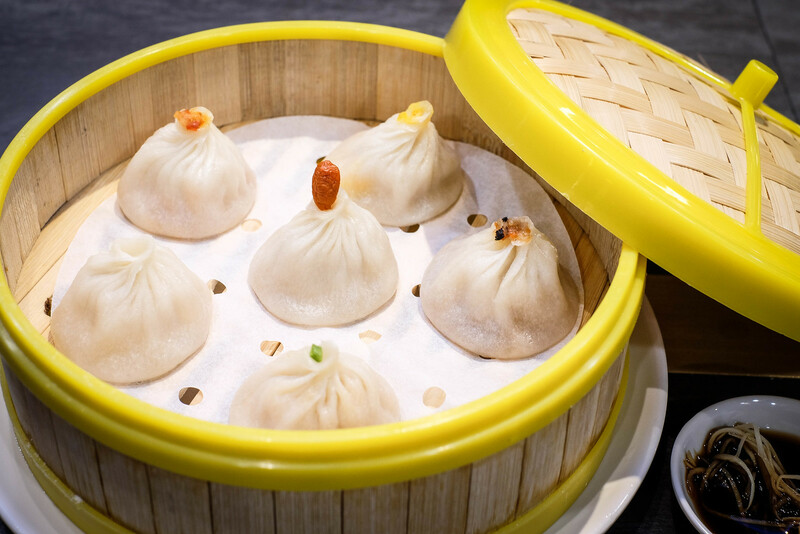 As part of their opening promotion, Terminal M is offering 50% off their set lunches. So do visit Singapore’s newest Terminal as soon as you can! P.S. Terminal M has a ‘No Pork No Lard’ policy. They are also in the midst of obtaining Halal certification. This post was brought to you by Terminal M.
Simply comment below if there’s any changes or additional info to Terminal M. We will verify and update from our side. Thanks in advance! 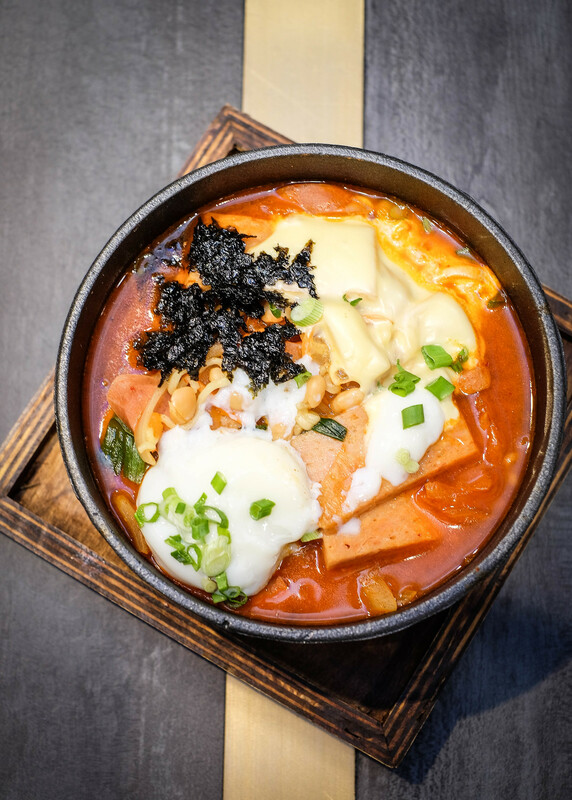 For more food videos, check out our official YouTube channel!